Last article, we discussed Counterparty, an innovative layer that runs on top of the Bitcoin protocol, providing access to all sorts of useful functionality – creating assets, fundraising for projects, gambling, and so on. The shibes felt rather left out, apparently, and a group of them decided to clone the Counterparty system, and release it for Dogecoin. They have appropriately named it Dogeparty, which brings to my mind the image of Doge wearing a little party hat. Nice branding. For information on what Dogeparty will be used for, how it is useful, and what kind of value can be derived from it, I’d like to direct you to my previous piece, on Counterparty. For most purposes, Counterparty and Dogeparty are near-identical. I’ll take a brief moment and list out the important differences. 1. Counterparty is more secure. The Bitcoin network has a much higher hashrate than the Dogecoin one. Even once Doge successfully merges (via AuxPoW) with Litecoin, Counterparty will still be a higher security format. Not to say that Dogeparty is insecure, of course. 2. Dogeparty is faster, because Dogecoin is faster. 10x the speed of Bitcoin. 3. Dogeparty is cheaper, because Dogecoin is cheaper. 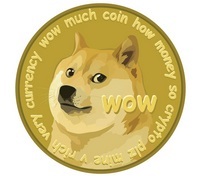 The transaction cost for Dogecoin is about 1/500th of the Bitcoin transaction cost. So what’s this article about, then? Two things. First, what the existence of Dogeparty means for cryptocurrency. Second, a discussion of the burn. The creation of Dogeparty should remind everyone that (with the exception of NXT, Ripple, Stellar, etc. 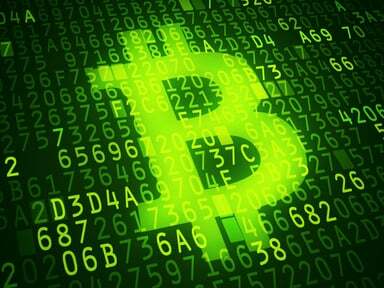 ), all the coins we interact with are derived quite directly from Bitcoin. As such, whatever innovation is created for one can (generally speaking) be ported to others. In the case of Counterparty and Dogeparty, this is a port from a Bitcoin-based asset layer to a Dogecoin-based one. How we can apply this knowledge is interesting – one example I had thought might make the importance of this clear is Proof-of-Stake. 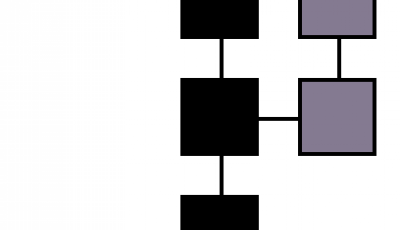 What prevents Proof-of-Stake from replacing some functions of a currently 100% PoW network, like, say, Bitcoin? PoS has been shown to be much more energy-efficient, and a mixed PoW-PoS network has been shown to be more secure (As an aside, theoretically, if the value of all Bitcoin units were ever far greater than the value of the entire network hashrate, pure PoS might be even more secure than mixed – but I digress). Wouldn’t it be optimal to swap Bitcoin’s pure PoW model to a mixed one, making Bitcoin more energy-efficient (and thus, in theory, reducing transaction costs and net environmental impact) and more secure? Of course, a change of that scale is unlikely to occur any time soon – if ever – and would likely require far more research into and testing of PoS blockchain models. The thought experiment should serve to show a very important and oft-forgotten facet of cryptocurrencies, though: they can evolve – but only if their users wish them to. Alright – point made. So what about the Dogeparty burn? Recall the burn of Counterparty. That burn destroyed 2,100 BTC – approximately 0.015% of all Bitcoin currently in existence. Completely inconsequential. Dogeparty, as of this writing, has burnt 1.5BN Doge. It has only been possible to burn Doge for XDP for about 8 days, and it will run for a total of 30. If we assume that most of the burning will occur early on, as would make sense given the incentive offered, it might be reasonable to guesstimate that in the remaining 22 days, another 1BN will be burnt. So a total of 2.5BN Dogecoin burnt for XDP. There are just over 90BN Doge in existence, meaning that that burnt 2.5BN would represent almost 2.8% of all Doge. It’s like negative mining – and hardly an insignificant amount of it. So, if you own Doge, congratulations – your coins are now worth more, because they are more scarce. Initially, people made fun of this suggestion, saying that the amount burned would never be enough to be relevant. They were quite wrong. It’s worth considering unexpected events like Dogeparty when deciding a coin’s valuation, especially as the future progresses. Can we expect to see Darkparty? Liteparty? If we do, and their burn phases are as successful as Doge’s, it would be a nice little price bump. Dogeparty’s success is unnecessary for it to generate value for owners of Doge – the value is created by others choosing to invest their resources into Dogeparty, increasing scarcity. And if it succeeds? Even better for Dogecoin users – their chain now has more value. Look for more party-esque developments in the altcoin space as time progresses. They’ll certainly appear.